Because we still have light years to go before otherworldly living becomes routine, we can totally see someone taking advantage of this erm, opportunity: You can now launch your loved ones’ remains into space. Seriously. We know it’s a bit morbid to excitedly ramble on about things that happen to your body after you die, but somewhere there are loads of astronomy lovers and people who missed their shot at becoming astronauts giddily making plans for the ultimate space voyage. Honestly, you won’t come any closer to finding the perfect space-themed gift to the send the astronomy lover in your life over the moon (or at least a little closer to it). 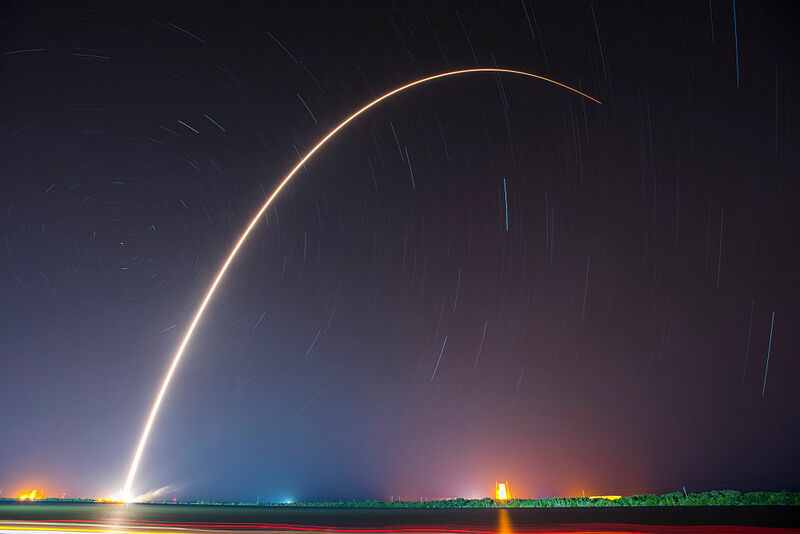 Anyone who purchases one of these packages will be able to track the location of the rocket with an iOs/Android app, which means they will presumably know the exact moment the rocket returns to Earth’s atmosphere and burns up on re-entry. Yeah, we know…it’s a LOT to take in. You’re probably wondering exactly who would consider such a thing, right? Well, more than 100 people have already booked spots on this unique space flight. And for a minimum cost of $2,490, you too can ensure that space is indeed the final frontier.